Stefano Conia was born in Hungary on the 10th January 1946. 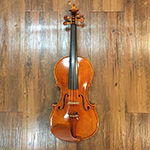 When young he began studying the violin and became interested in violin-making following the example of his father who has a diploma from the International School of Violin making in Cremona. After finishing high school and his violin studios in Hungary, he moved to Italy and attended the International Violin-making School in Cremona from 1968 until studying with Maestro Sgarabotto, Maestro Morassi and Maestro Bissolotti. 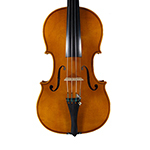 He returned to the School as a , teacher of school of Violin Making of Cremona for over 20 years, first as expert in varnish and restoration, then also to teach construction as well. In his workshop, in the heart of the city of Cremona makes his instruments inspired by the models of the classical makers and later using various personal models. In making his instruments he uses carefully chosen aged wood. The shape and arching are classical and the varnish intense. 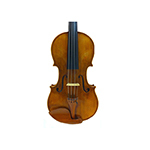 Each piece of every violin is carefully controlled and perfected according to it’s acoustic function. Each instruments has it’s own certificate and guarantee. Maestro Conia has been awarded many prizes in national and international competitions. His instruments are recognized and appreciated throughout the world. 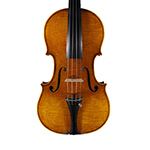 He is member and founder of the italian association of Violin-makers (ALI) and the European Association (AEL). 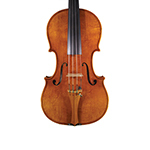 More detailed information can be found in the Strad magazine of 1976-77-78, in “La Bottega dei Miracoli” Ed. 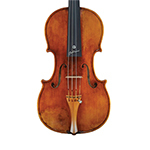 Stradivari 1982, “Liutai Italiani di ieri e di oggi”, Arte Liutaria di GioBatta Morassi 1984 and 2000, Dictionnaire Universel des Luthiers 1985, L?tgendorf: Die Geigen und Lautenmacher 1990, A.L.I. Book of Professional Makers 1994 and 2000, Cremonese Violin-Makers of the Late 20th Century of Yasuno Toshitake. Stefano Conia Jr. was born on January 4, 1973 in Cremona (world's violin capital city). Since when he was a little child he found himself surrounded, thanks to his father Stefano Conia jr, world-renowned luthier, by the magical lutherie world. Little Stefano spends a lot of his infancy in the father's workshop, admiringly observing his father at work, playing with tools, touching woods as he wanted to understand their hidden secrets. As a young boy Stefano decides his life will be intermingled to the luthier work forever and, being too young to be allowed to really use the tools of the trade, decides to explore the violin's fascination learning to play it. 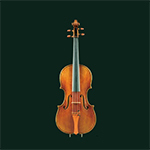 His first violin teacher is his father's young student, violinist and luthier which today is a friend and colleague, Marcello Villa, who teaches him the first elements of violin playing. The link which connects the Conia family to lutherie starts from very far, both in space and in time. 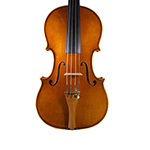 The first family component to perform this very difficult art, to be a violin builder, is not in fact Stefano's father, but the grandfather, Istvan Konya; he was an exceptional man, who after a difficult life, aged 44, left from Hungary's city Tata to go to Cremona and follow the dream of his passion: to build Violins. 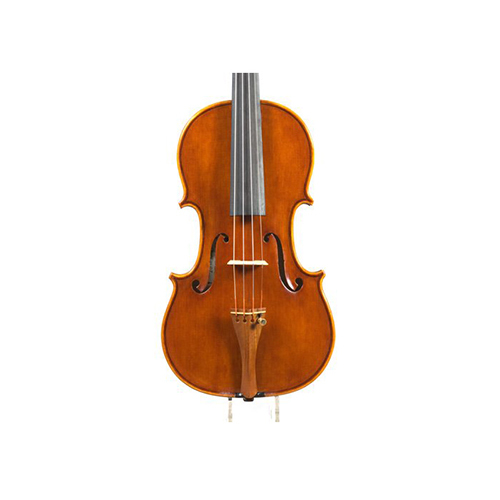 It's in Tata, Hungary, where Stefano, under his grandfather supervision, builds during summer 1987, aged only fourteen, his first three-quarter violin, which will be afterwards varnished in Cremona, in the father's workshop. 1987 is also the year in which Stefano decides, encouraged by his grandfather who had noticed in him promising capabilities, to start attending the International Lutherie School in Cremona. Young Stefano is unstoppable and beyond the normal school engagement he is able to start using the father's workshop to privately build instruments. During these incredibly productive years, Stefano, helped by M? 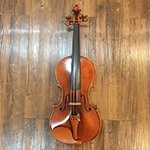 Giorgio Scolari -his teacher- and by his father, builds his first model Stradivari violin, two altos, two cellos and one pochette, which will be worth a "W.Stauffer" Foundation scholarship for his brilliant prowess and engagement. He presents his works in some international competitions, as Cremona's Triennale, Bagnacavallo and Baveno, achieving numerous acknowledgements and prizes. After diplomating with flying colors in 1991, just eighteen he starts his professional career working in his father's workshop, who commissions him his first works. In this period young Stefano reaches a grat technical level and gradually moves away from his father's style, to start researching about his own. Now he tries to explore the work of his future colleague, M? Marcello Villa, whom Stefano feels philosophically more similar. The military service makes a parenthesis after which the young Conia gets back to Cremona, and starts his proper professional career. To develop his style more freely Stefano leaves his father's workshop and moves together with the friend Marcello Villa in a beautiful 15th Century Cremonese building at 13, Via San Giuseppe, just near Cremona's Duomo. His continuous research about harmony of lines brings him to stabilize mainly on two Stradivarian models, the Dickson-Poynde 1703 and the Theonville 1698, completing them with a scroll model Sunrise 1696. But his work doesn't stop to a faithful reproduction, but he personalises the lines and taste. A great part of his production is moreover devoted to ancient instrument reproduction, and this will allow him to refine and enlarge his aesthetical horizons. M?Conia instruments' sound is different from the classic 'brand new', given the smoothness, purity of tone and power delivered. Since 2010, I’m the Luthiers’ group leader of Cremona Confartigianato (it’s the confederation of the Italian craftsmen), and vice president of this association.